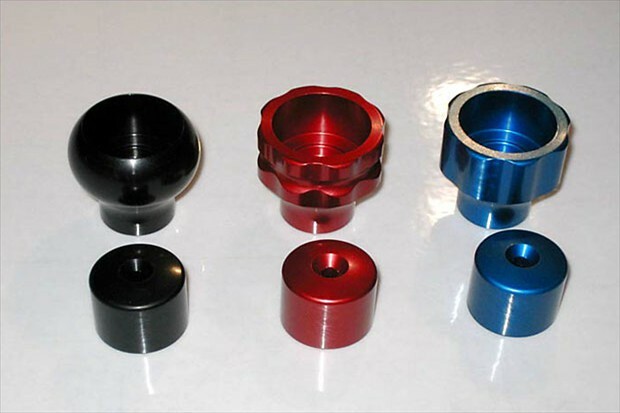 These attractive anodized aluminum knobs are a direct replacement for your cracked, chipped and yellowing factory standard parts. They're made in the official FAA style with industry standard visual and tactile cues for Throttle, Mixture and Propeller. 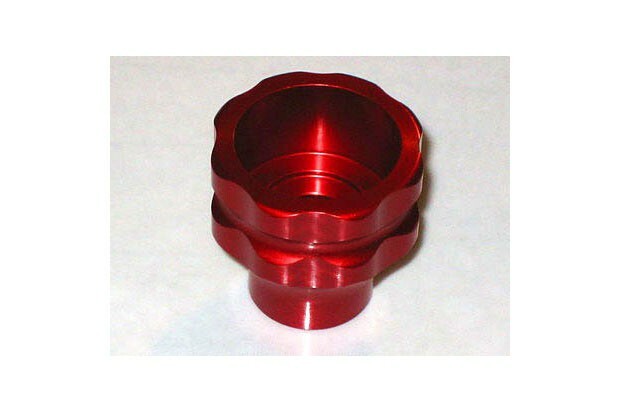 The red Mixture knob close-up shows the workmanship and quality of these parts. You're looking at the outer body - the spring and release button fit inside. Fitting takes just a few minutes: simply unscrew the originals and reassemble the cable with the new knobs. By the time you've taken one original knob apart, you know how to do this job. We would like to make it clear that these knobs are not STC'd, PMA'd or TSO'd. They come without paperwork: if you fit them to a certified aircraft, you do so at your own peril. 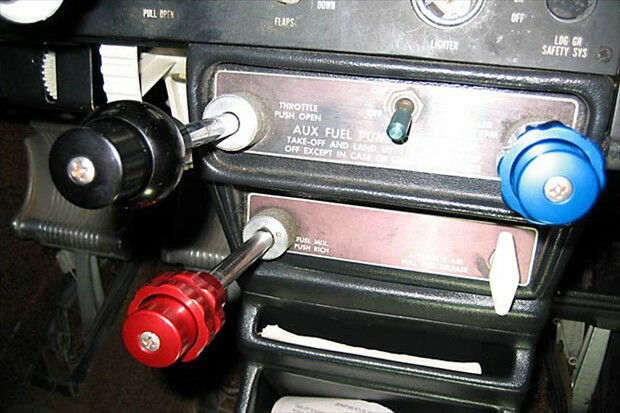 Our control knobs are available in sets of three as shown here.